At Barrier Eco Insulation we pride ourselves on the high level of customer service and quality products we provide for our Long Beach residential and commercial customers. All of the products we use are coded green and guaranteed to be safe for you, your family and the environment. 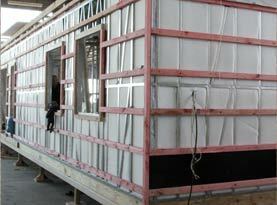 At Barrier Eco Insulation our technicians use the highest quality products available on the market. We recommend clean, lightweight, noncombustible, non-hydroscopic materials that resist mold and mildew growth. The high quality products we use have the texture of cotton & contain no chemicals or chemical by-products, are certified Green and contain a minimum of 50% recycled content. 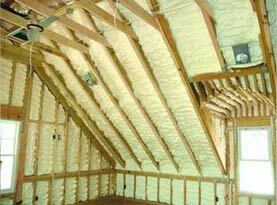 The second most significant area for heat loss is the walls of your home. Insulating your walls will not only make your home’s environment more comfortable it will also lower your heating and cooling expenses. The certified technicians at Barrier Eco Insulation can fill your homes walls with insulation without having to damage or remove the drywall. 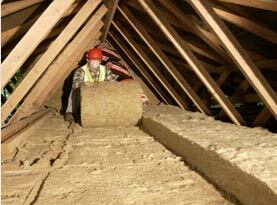 At Barrier Eco Insulation we recommend air sealing your attic before adding additional insulation. During construction of your home or renovation, openings were cut into your ceilings for electrical boxes, lighting systems such as can lights, plumbing, electrical pipes, bathroom fans and heating and cooling systems. Part of the reason your utility bills are high is because these areas are allowing leaking heat and air to escape into your attic. A Barrier Eco Insulation technician can locate and seal the gaps around the openings inside your attic which will prevent the escape of heated and cooled air saving your hard earned cash. At Barrier Eco Insulation, your safety is our primary concern, our technicians use technologically advanced equipment to remove insulation directly from your attic into our specially prepared contractor bags. 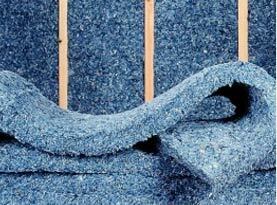 Our highly efficient disposal contractor bags can handle recycled, animal contaminated, wet or fire damaged insulation. The contaminated insulation including all the debris is transported directly from the attic into our specially designed vacuum bags. Our technicians will then apply a specialty microbial spray to disinfect and deodorize the area before adding new environmentally friendly insulation into your attic space.